A number of social media users captured a huge shelf cloud that rolled over the southernmost areas of the Jersey Shore when storms hit the area on Wednesday. 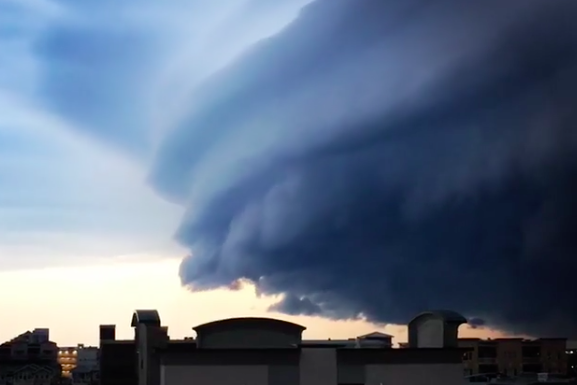 Although "Armageddon-like" may be taking it too far, a shelf cloud made its way over the Jersey Shore when storms hit the area Wednesday, prompting some videos and images posted by astounded social media users who witnessed it. Several people across Facebook, Twitter and Instagram shared their images of the thick, dark cloud. A shelf cloud is a low, horizontal, wedge-shaped cloud that is usually attached to a thunderstorm cloud.